It was time to go home and Neo found herself feeling a bit sad about having to leave. She had had fun, made some new friends she definitely wouldn't forget, and had spent quite a bit of time in the sand. However, she had been gone from home long enough, and extended vacation or not it was definitely time to go home. She had gone through her hotel room three times after packing to ensure that she didn't forget anything: even the smallest trinket was important to her after all. 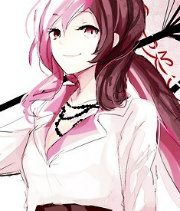 With her bags packed and resting on her shoulder Neo went through the process of checking out quickly and then was gone. She moved through the village slowly, enjoying the last bit of sight seeing she was going to get to do for a while, and then picked up speed once she was beyond the village gates. The landscape around her shifted slowly as hours passed, going from the sand to forest to finally the sweet salty scent of her oceanic home.